The 5 Ps of Garden sustainability. It is getting to be that time of year again. The time when the ice, snow, and frost clear out to make way for new life to sprout up. This is not only true in a physical sense, but also an emotional, mental, social and spiritual sense. While as a society we are often focused on the physical, what is manifested in the physical is primarily a result of things that happen on these “higher” planes of existence. Why I put higher in quotations is because these planes all coexist, and have a rhythmic effect on each other. Whereas ideas trigger an emotional response which then gets transferred into the physical realms. The physical creates emotional responses which then proceed into the mental realms and beyond. 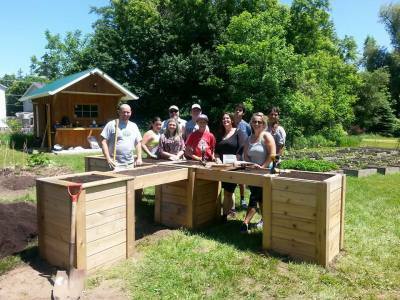 The Community Garden was officially started in 2011 by Allison Jones and Debbie Bentley, but before that, it was started as an idea. The idea was to create a multi-generational, collective and collaborative organic garden, and this was executed and achieved in an outstanding way. What once started as a thought has grown and flourished into the existence of what Acton now knows as a physical reality that we have all come to love today. As current Chair, it is by no means my mandate to make any significant changes to what we have today. I think of the quotations “if it isn’t broke, ​don’t fix it” and “There is no need to reinvent the wheel”. 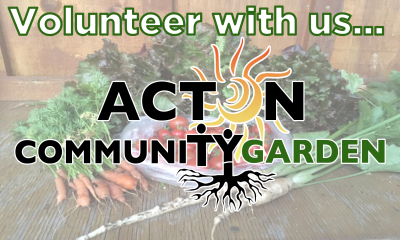 What we have in Acton is revolutionary compared to other community gardens. The fact that anyone can help out, and that there is no allotted beds but rather one garden, as a whole, that anyone and everyone can tend to, or take from. As far as I know, there are no gardens anywhere in Ontario, that function with the same principalities we have. Last year in my new role as chair, my primary goal was to make sure everything functioned within the physical as smoothly as possible. Full disclosure, I had no idea what I was doing, and would not have been able to do it without the help of our volunteers, guidance of the past, and the structure that was put in place before me. It is not my goal to change any of these structures, but rather to maintain and reinforce them. After a year within the physical realm of the garden, it has given me several ideas of how to strengthen it. The goal this year and oncoming is to take the great Idea Allison Jones and Debbie Bentley had and make it 100% sustainable and repeatable. This is where the idea of the 5 P’s of garden sustainability come into play. Which begs the question, “What are the 5 P’s?”. People, Plants, Places, Precipitation and as, Allison Jones suggested, most importantly, Purpose. Like our realms of existence, all of these terms coexist, and without one of them functioning, none of them function. Without people, plants don’t get planted, precipitation does not find its way to plants without people to water it, there are no places to plant without connections for soil, or people advocating for places for the garden. Without plants, there is nothing for people to plant or eat, nothing to water, and a bunch of empty beds and places that could have been utilized. Without places to plant and sow the seeds all these other resources become wasted, you can have all the people, water, and plants in the world, but if you have no fertile place to put them, they will simply wither away. Without precipitation, nothing will grow. You can have the other 3 prior resources, but without food for the plants, they will simply remain seeds or ideas. And lastly, without purpose, there is no fabric which holds all these things together. There is a philosophy I learned from Buddhism which translates over many philosophies. “ Nothing is stagnant, everything changes, the question is, whether it gets better, or worse”. This is the primary challenge with true sustainability. There is nothing by itself, that is truly sustainable. Everything requires maintenance, improvement, and nurturing, without it, it will deplete, decay and dilapidate. Even humans greatest and most vibrant structures like the great pyramids do not look like how they once did in their glory days due to lack of maintenance or improvement. Within my next article, and over the garden season, I will be looking at these 5 P’s closely and expanding on how to maintain and improve the great structure we all know as the community garden. 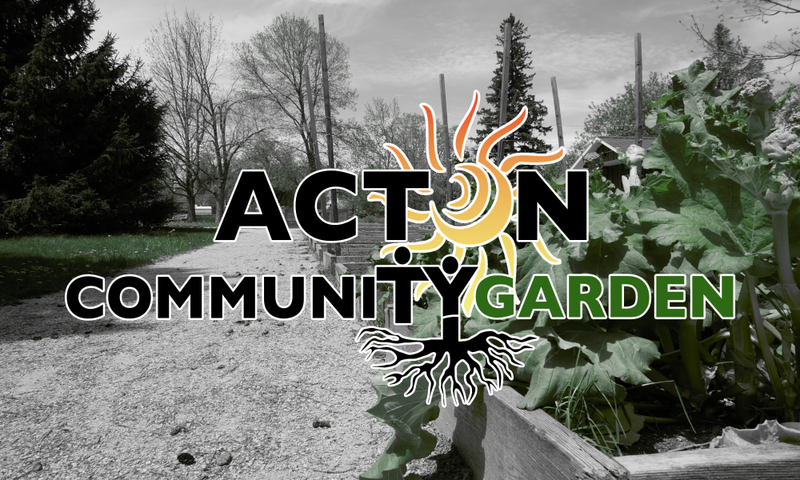 The Acton Community Garden is a multi generational , collaborative and cooperative garden. located in Acton Ontario, by the Rotary Park soccerfield. It was established in 2011 by Alison Jones and Debbie Bentley. It is truly the definition of a community garden with anyone from the community being able to help out or take food, with all remaining food donated to Food For Life in Acton, run out of St Albans Church.